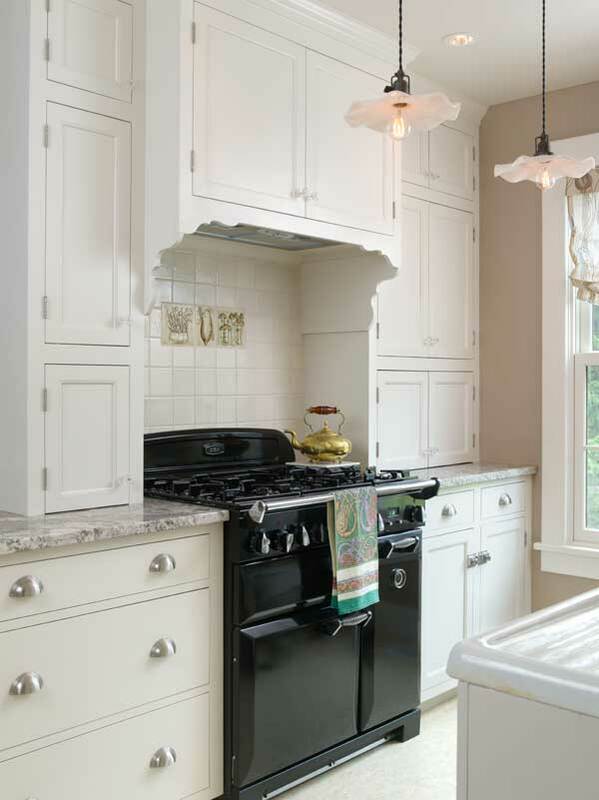 Used judiciously, decorative millwork has a place in a kitchen of almost any era. Think of it as the icing on the cake. “Gingerbread” denotes the purely decorative woodwork identified with the Victorian era, when houses were festooned with whimsical and often elaborate sawn and turned wood ornaments. But decorative trim isn’t just for late 19th-century homes. Brackets and braces were popular in the kitchens of the Arts & Crafts era and certainly in its revival. 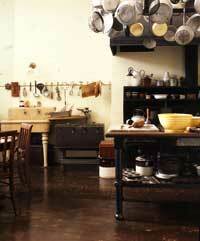 Cutout under-sink doors and scalloped valances embellished 20th-century kitchens. 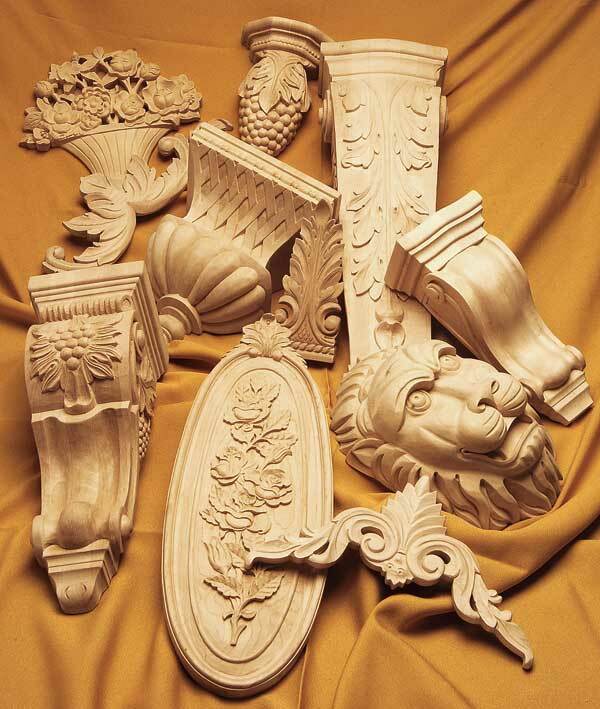 Your house probably has decorative trim in other rooms, such as a Mission newel post, fretwork in a parlor bay, or corbels under the mantelshelf. Use these to create variations for trim elements in the kitchen, and rooms will have a pleasing continuity. 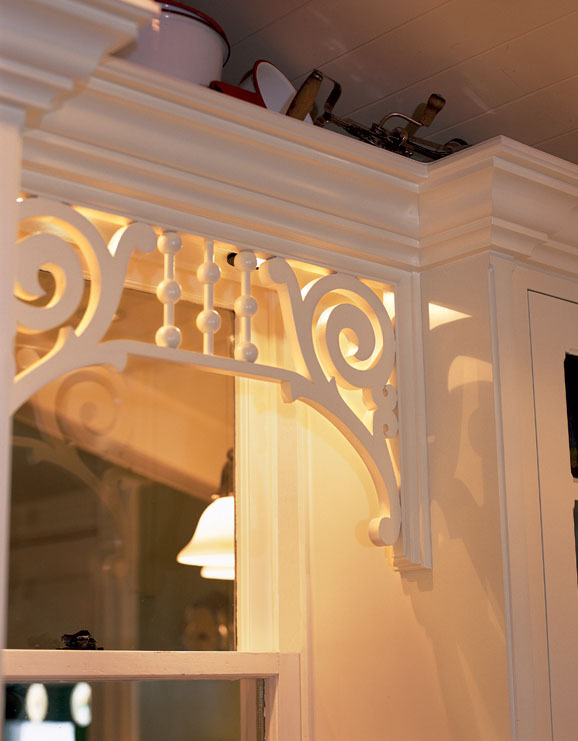 Specialty millwork companies offer authentic styles, and period-inspired cabinet shops incorporate appropriate trim into their designs. 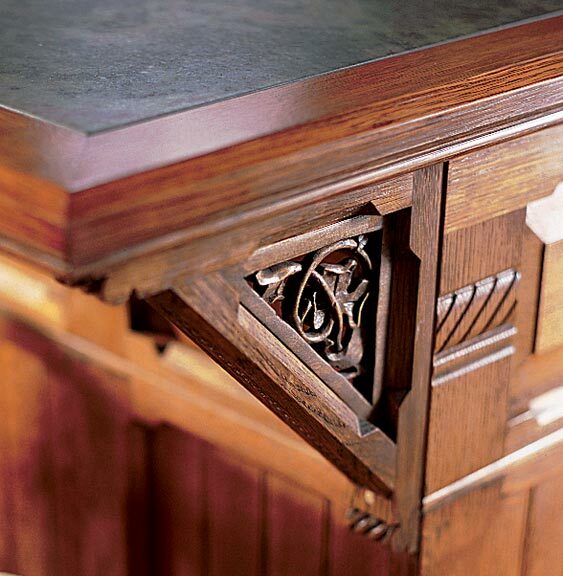 A bracket with a carved leaf and vine motif supports an island countertop. In wood ornament, this is a projection that provides visual (and sometimes structural) support under a cornice or overhang, as on a shelf or island. It can be a French console, a beefy corbel, a neoclassical modillion, or a bungalow-era knee brace. A bracket, cut in a graceful curve, may span the distance between upper cabinets or shelves and a base cabinet. Small brackets may be used in a repetitive fashion under, say, a plate rail. A spandrel is the running or triangle-shaped decorative device used to span doorways and corners. The running ornament is often fretwork made up of turned posts or ball-and-spindle work. In today’s larger kitchens that feature a separate eating area, a fretwork spandrel or corner spandrels may be hung in a wide doorway between the spaces. You might also use a spandrel as a screen to hide modern lighting. Whether at the ceiling cornice or to edge shelving, as a baseboard or chair rail, moldings are a common decorative device that finishes a room. The top piece of window and door trim can be shaped or built up to reproduce period style. The trim around windows and doors contributes style, beyond its practical function to cover the framing. Victorian homes often featured fluted or built-up casings, often with molded corner blocks (with a bull’s-eye or anthemion, perhaps). Early 20th-century houses from Cape Cods to Tudor Revivals had distinctive styles as well. Add period charm to a farmhouse table or to the corners of cabinets or island with turned table legs. Pair legs with shaped feet to create styles that range from early American to Victorian and beyond. A screen door with gingerbread trim lends a delightful welcome. If your kitchen does not exit outdoors, consider putting a screen door on the pantry. A (usually shaped) cornice piece over a window and, often, the sink, this bit of trim can also be used as a light baffle. It’s associated with kitchens of the 1930s to 1960s. A charming touch found in early 20th-century kitchens are the cutout or scalloped doors used beneath the sink, which ventilated the space while providing an accent. Today’s gingerbread is available in either paint-grade wood or hardwoods (e.g., maple or oak), which can be stained and clear-finished. Several companies offer molded urethane millwork as well. Versatile and affordable, these options will transform a flavorless kitchen into an architectural confection.